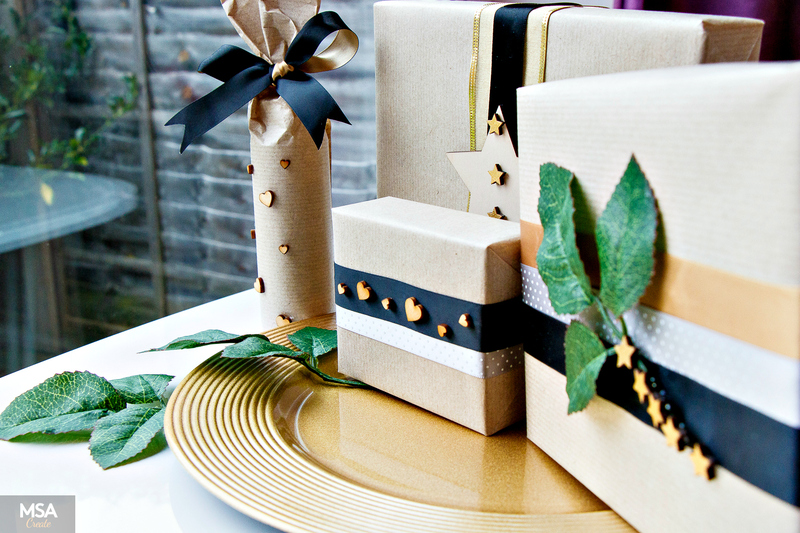 So, I have a confession to make…….I think we’re at that stage in our relationship that I can be honest about certain things…….I just feel that I can trust you with this……….so here it is: I fantasize about creating my own gift wrapping paper every Christmas!! OK, I’ve said it now and what a relief! 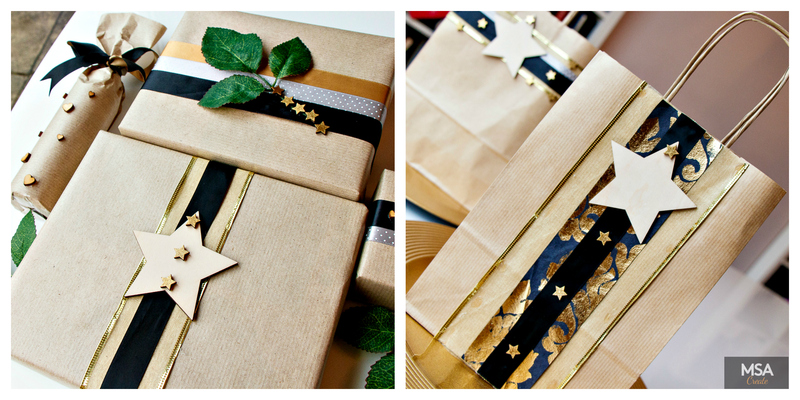 I’m a complete Christmas nerd which is why things like DIY wrapping paper gets me so excited. I know that I can buy wrapping paper and nice gift bags, but my creative side won’t let me do it; it screams for an outlet and Christmas is the perfect time to go wild! 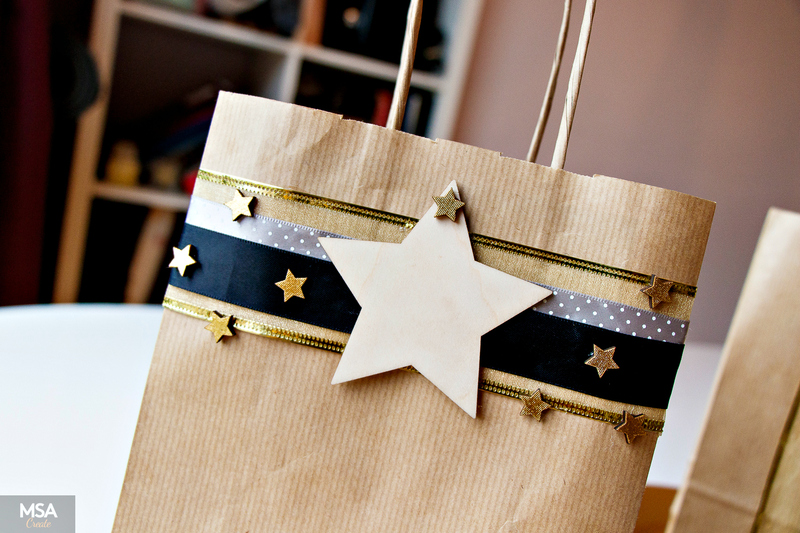 In this post, I’ve created my own gift wrap, gift bags and gift tags. 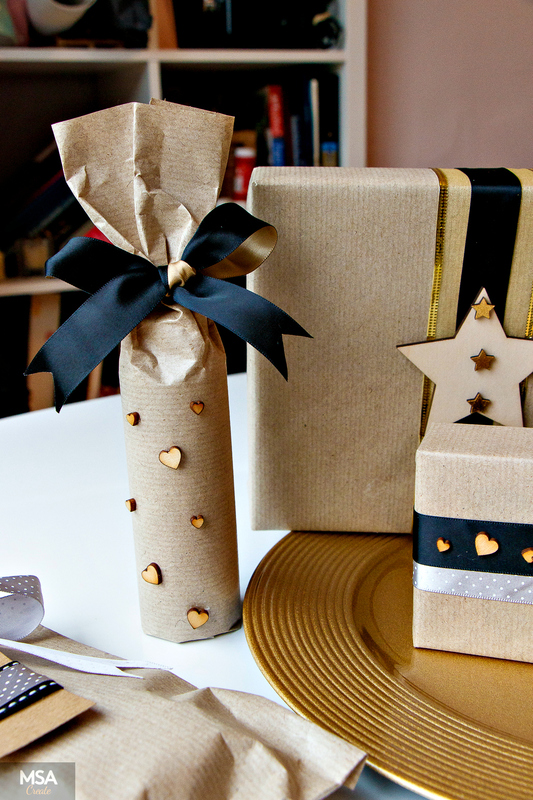 I encourage you to work your creative muscles this Christmas and attempt making your own gift wrap (if you haven’t before). 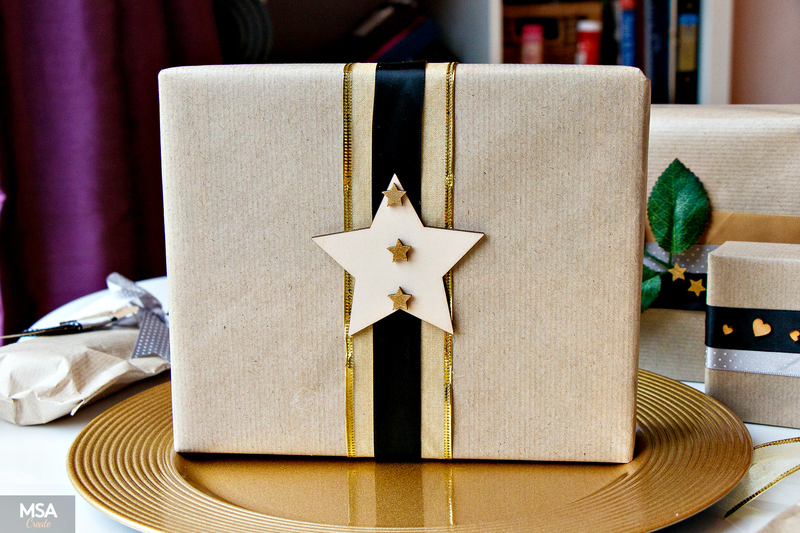 You’ll be surprised at how easy it is and how you can make a gift that little bit more personal. This year I was inspired by wooden embellishments made by a company called Artcuts. I learned about Artcuts at The Handmade Fair I attended this year and I was blown away by the range of embellishments that they create (they cover themes like Easter, Christmas, Weddings, plants and babies, just to name a few). 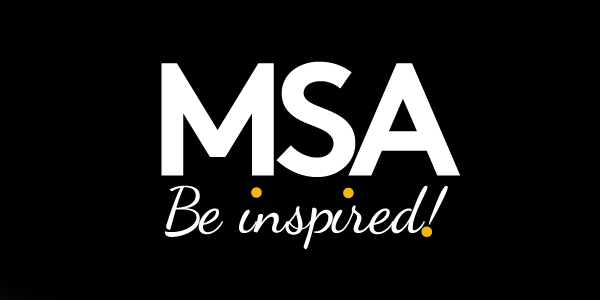 You really need to check out their website (click here) – it’s awesome! 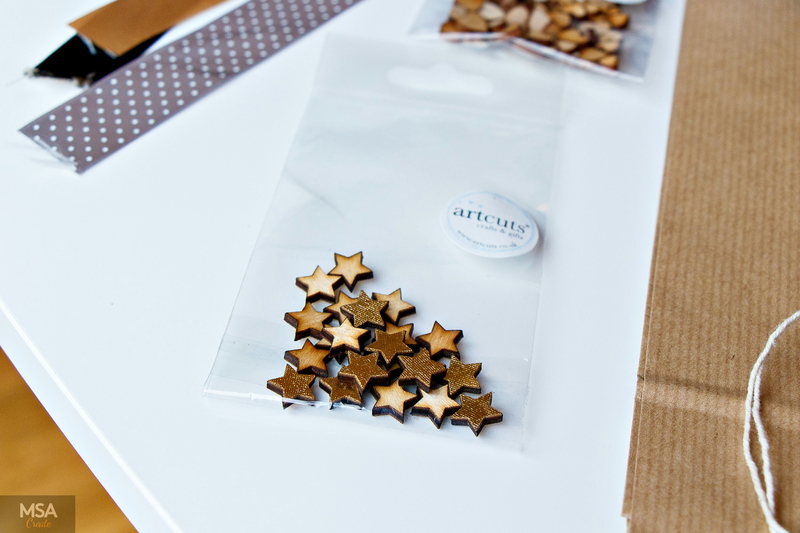 So at the Fair, I picked up little bags of inexpensive wooden stars, hearts and circles which I used to add the finishing touches to my wrapped gifts. My colour scheme for this year was a mix of gold, black and grey; it’s not that I don’t like the classic Christmas colours of red and green, it’s just that I wanted to break from tradition. As usual, I used plain brown wrapping paper and also plain brown gift bags so that the overall look of my gifts was rustic yet coordinated. 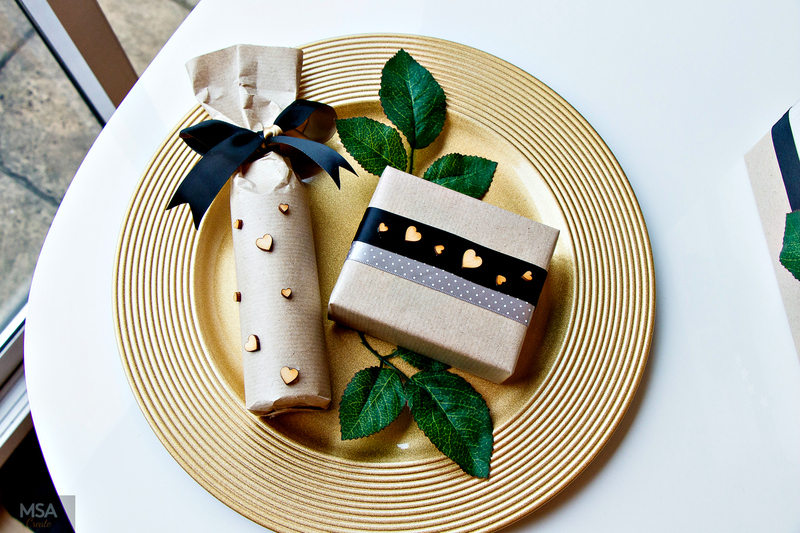 So if you have some time to spare and fancy creating your own gift wrapping paper, then give it a go and use the pictures in the post as inspiration. 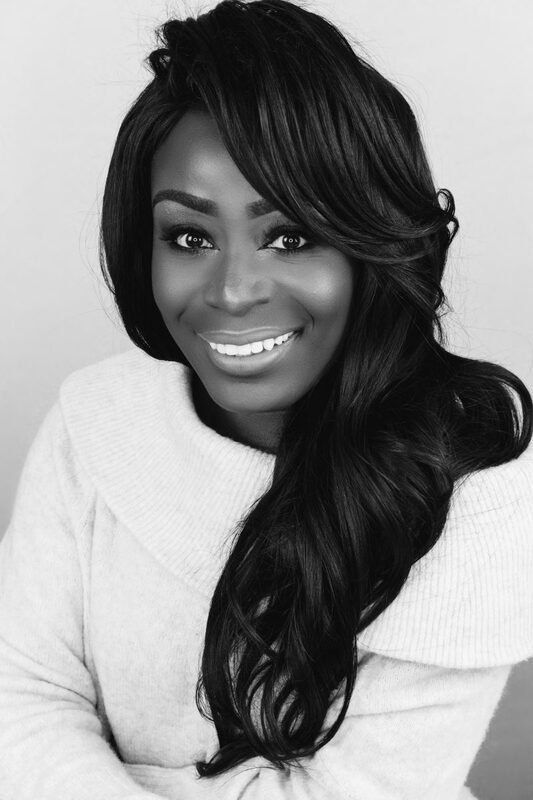 Be sure to play some cheesy Christmas music and drink some hot chocolate as you wrap your gifts…..that’s what I usually do. Oh, and as usual the shopping links will be included below. Enjoy! Anything else that you wish to embellish with, like old jewellery or buttons. 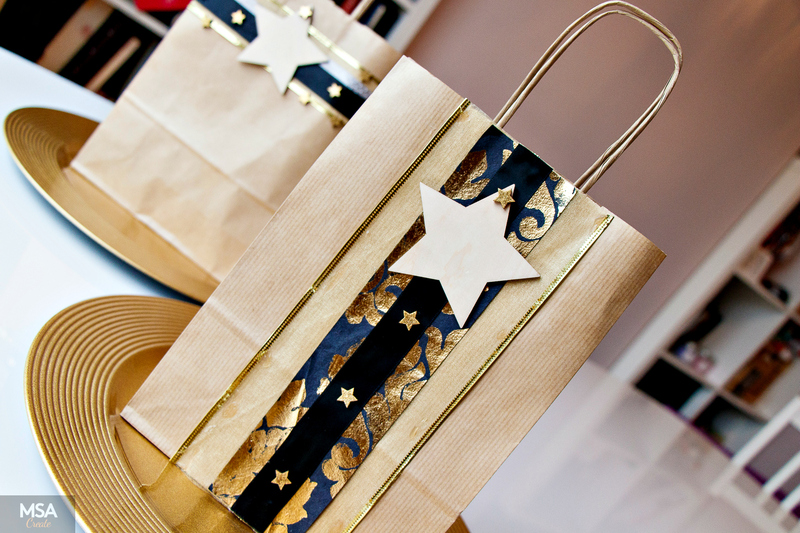 Gift bags are great for gifts that are awkward to wrap, or if you have lots of little gifts that you want to keep together. I bought some plain brown gift bags from Amazon and then used a glue gun to attach pieces of ribbon and paper to the front of the bags. 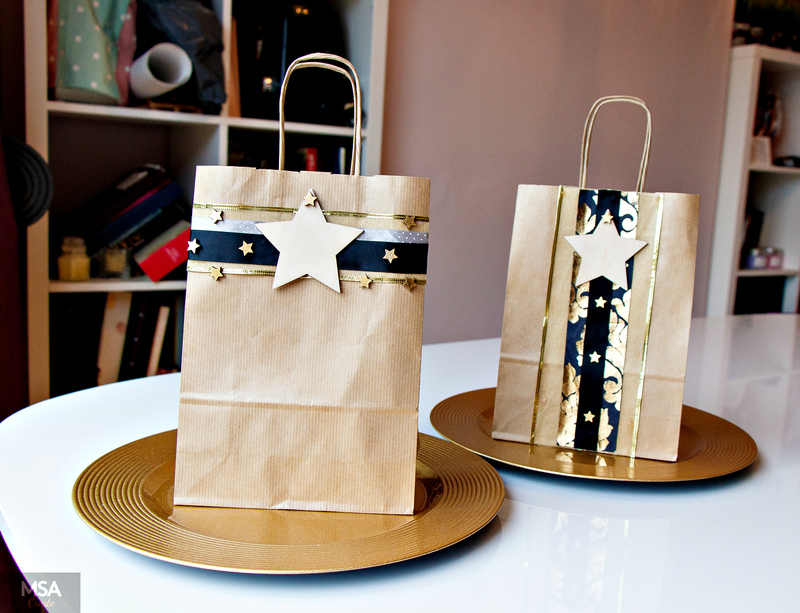 I finished off my designs by sticking on star shaped wooden embellishments. It really doesn’t get easier than that! 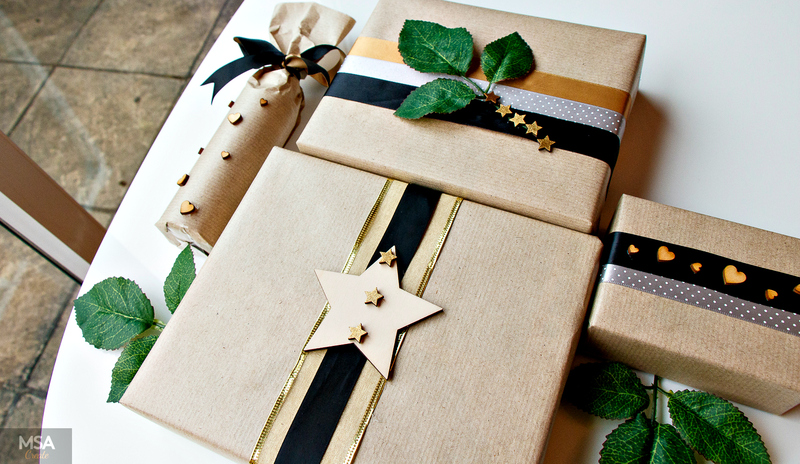 I created my gift wrap by first wrapping each gift with brown paper; then I used a glue gun to attach strips of ribbon, which I layered, in order to provide some visual interest. Again, I used wooden embellishments and some artificial leaves to give a focal point to my designs. 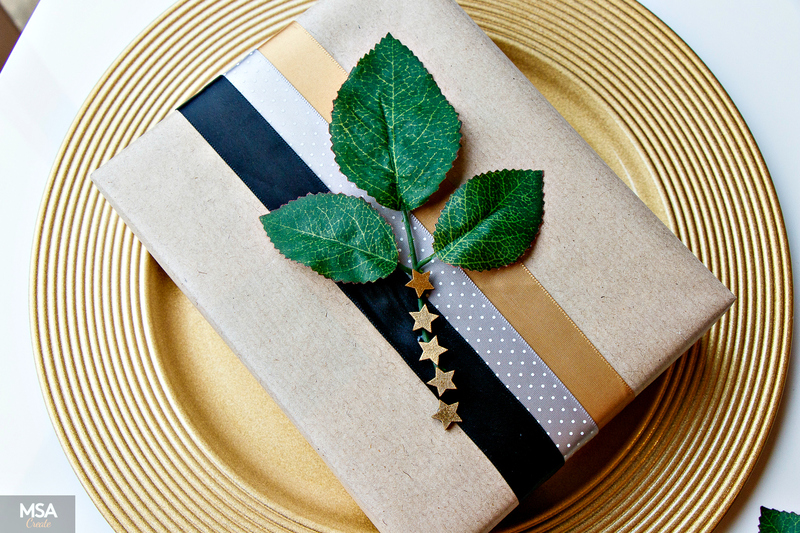 The creative possibilities of how to wrap gifts are endless, so experiment and try to come up with something original. My brother once gave me a gift wrapped in newspaper and I was quite impressed with his creativity. There really are no rules when it comes to being creative, so do as you dare. 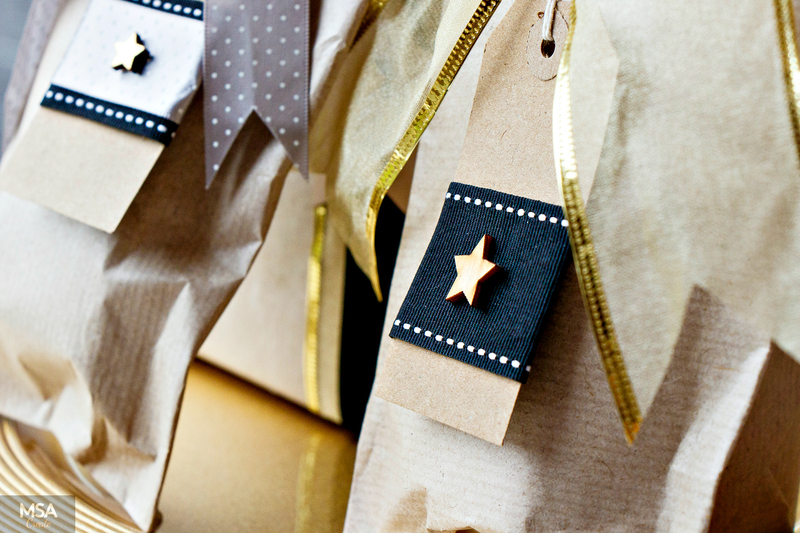 Gift tags add that final little personal touch to a gift, and of course it helps you to avoid giving your gift to the wrong person. I can think of lots of awkward moments…for example, your male co-worker getting that Elsa outfit from Frozen that you had meant for your niece (mwah ha ha). I found some great little brown gift tags on Amazon, by the way where would I be without Amazon?? 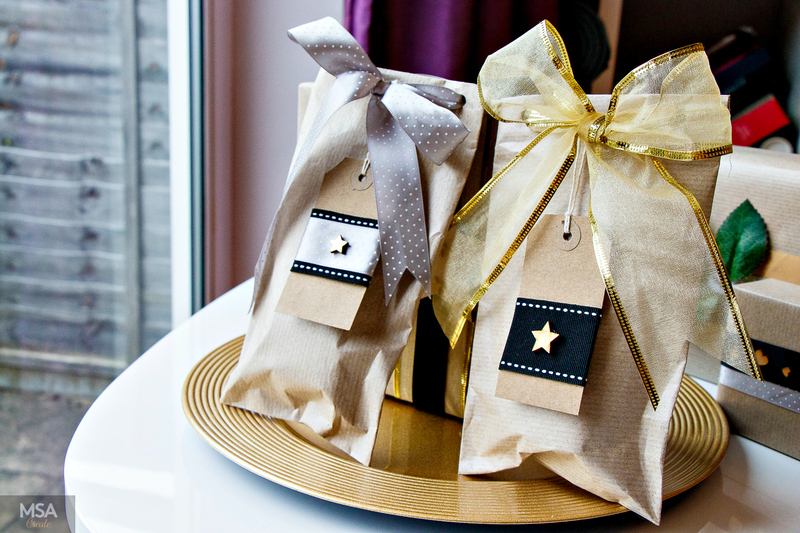 I stuck some ribbon around the tags and topped them off with star shaped wooden embellishments. And voilà, with very little effort my gift tags looks like I bought them from a shop! 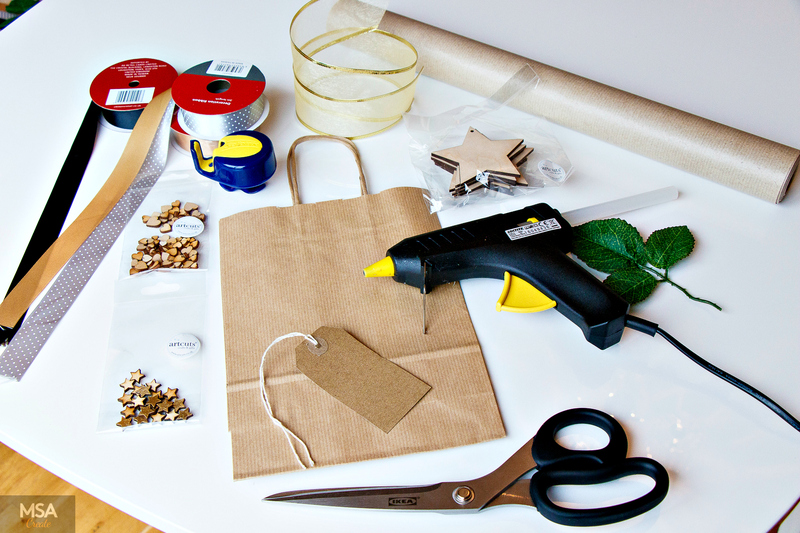 As you can see, making your own gift wrap is very easy and is also a wonderful creative outlet. Now don’t let me take all the glory, you too can be a Christmas rock star so get creative and see what you come up with.